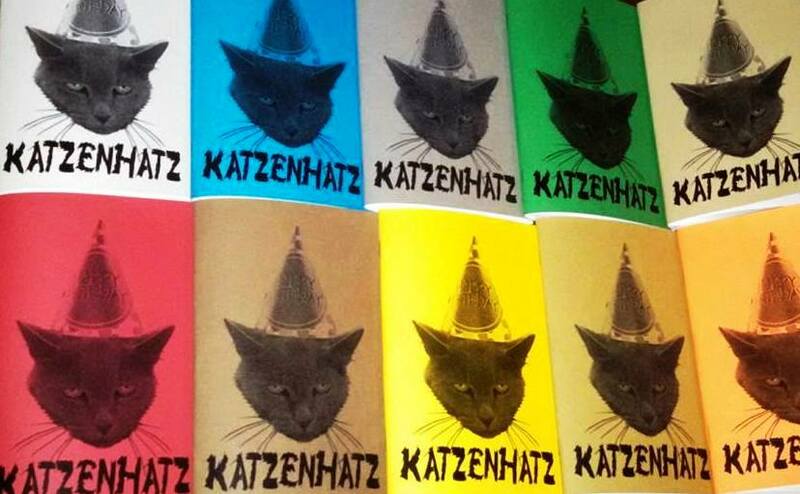 After a nearly unbearable wait, Katzenhatz is finally here! Fellow Long Beach publisher, Bank Heavy Press’s highly anticipated release includes many of my favorite poets and friends, including Zack Nelson-Lopiccolo, Stephanie Ervin, Danielle Mitchell, Karie McNeley, Carissa Mercado, Larry Duncan, Thomas R. Thomas, Kevin Ridgeway, Toren Wallace, Olivia Somes, and G. Murray Thomas. My poem, “To Agree Philosophically”, appears along with an interview with myself and Nancy Lynee Woo about our presses, Sadie Girl Press and Lucid Moose Lit. If that wasn’t enough, there’s one more exciting part! I also have a very rare, almost never seen, actual drawing of mine included in this publication. It’s full of art of cats in hats by poets. You will have to buy you own copy to see for yourself on Bank Heavy Tumbler. Also. give them a “Like” on Facebook!